Days after the publication of an investigative piece detailing reports of widespread sexual abuse within the Southern Baptist Convention (SBC), some prominent Southern Baptists are speaking out. The abuse, according to the Houston Chronicle and San Antonio Express-News, was perpetrated by roughly 380 church leaders and volunteers over the past 20 years, and affected 700 victims. When incidents of abuse were first reported, the SBC allegedly treated them as isolated, and failed to create a registry to track abusers moving from church to church. The Chronicle and Express-News eventually created their own databases, which contained profiles of abusers connected to the SBC. Albert Mohler, a theologian and current president of the Southern Baptist Theological Seminary, issued a statement regarding the recent allegations on his website. 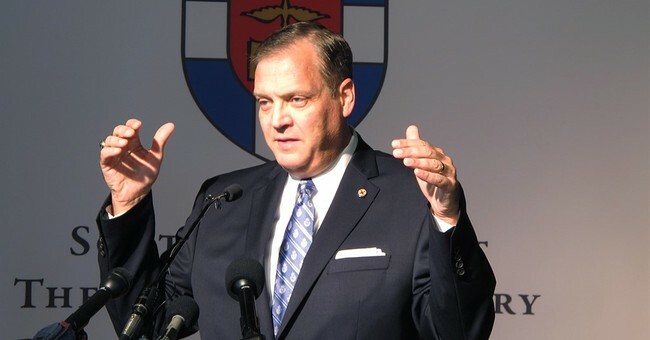 Mohler has served as president of the Southern Baptist Theological Seminary, which is operated by the SBC and prepares students to eventually serve in SBC-affiliated churches, since 1993. Mohler then criticized individual churches for intentionally turning a blind eye to the abuse. Although the 46,000 local churches estimated to be “in cooperation” with the SBC must agree to SBC doctrines and policies, they function autonomously for the most part. “Indeed, these abusers, caught in the torrent of their rebellion, cunningly hid or minimized their atrocities while churches willfully adopted a policy of ignorance, unwilling to see abuse that stood right before their eyes. They shouldhave seen it. Now, they mustsee it,” Mohler wrote. Mohler also called for an independent investigation into the allegations. “Only a third-party investigator can provide that kind of objective analysis,” added Mohler. Russell Moore, president of the Ethics and Religious Liberty Commission of the SBC, also issued a lengthy statement about the news reports on his website. “Nothing is worse than the use of the name of Jesus to prey on the vulnerable, or to use the name of Jesus to cover up such crimes,” Moore wrote.